Listen to this from MobileCouch. A/C Create on GitLab, rikwatson. Get workflow for a single developer sorted & documents the small subset of commands I need to learn. Store passwords in ~/.netrc e.g. GIT_PREVIOUS_SUCCESSFUL_COMMIT is set by Jenkins. 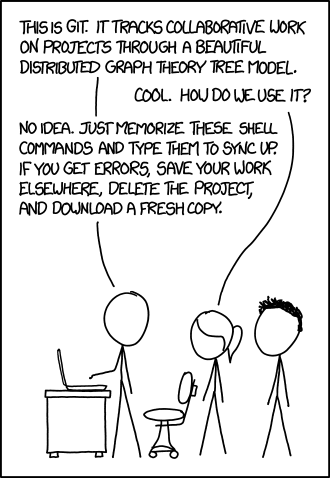 This is the command from Jenkins to update itself. Which is odd, I would have expected a simple git pull to work. Git From The Bottom Up is a great start at understanding the underlying technology behind Git (SHA-1 add all that). Git for Humans, A Book Apart. 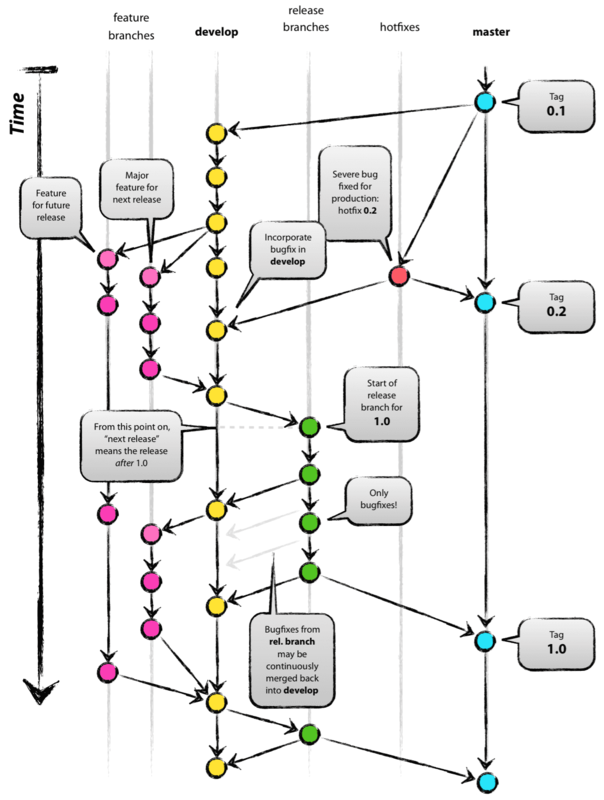 gitflow is the definitive workflow for git. No compelling reason to use anthing else. Unless githubflow works for you, introduction via GitHub. Fork & keep in sync. For CI reasons it’s useful to have a read-only fork of a repositry which is kept in sync with its master. An introdction to Git Hooks. git-it is a nice learning module, worth running through. Gists visible on wwwroot in Dropbox. GistBox looks cook. As with a bare clone, a mirrored clone includes all remote branches and tags, but all local references will be overwritten each time you fetch, so it will always be the same as the original repository. Setting the URL for pushes simplifies pushing to your mirror. To update your mirror, fetch updates and push, which could be automated by running a cron job. $ git commit -m "Add first.txt"
$ git commit -m "Add second.txt"
Writing objects: 100% (3/3), 264 bytes | 0 bytes/s, done.